While drafting this review I continually hit a wall in the form of the question “How do you review a game that is all about secrets?” Secrets, by their nature, are supposed to be hidden. 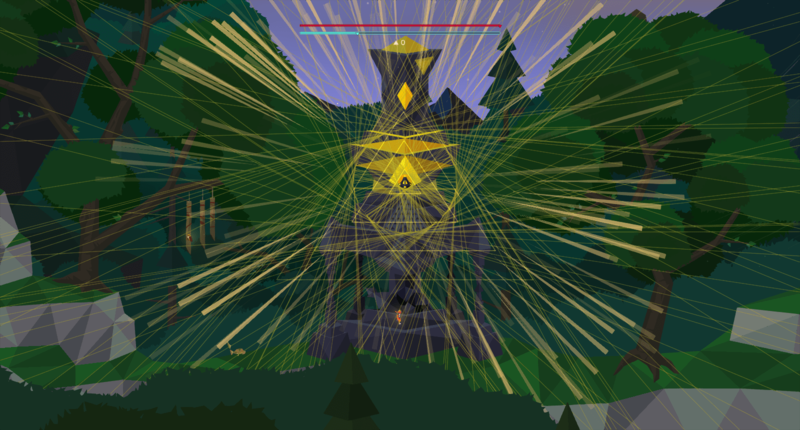 So by explaining why Secrets of Rætikon is good I could easily ruin it. With that in mind, I have attempted to pen this review in a such a way as to withhold the secrets while also exploring the Secrets of Rætikon. Secrets of Rætikon places you in control of a man-bird-thing. You are dropped, quite literally, into The Alps and given no explanation. The only things that are immediately apparent is that you are in a beautiful world of triangles and you can press a button to flap your wings. Everything else is up to you to discover. 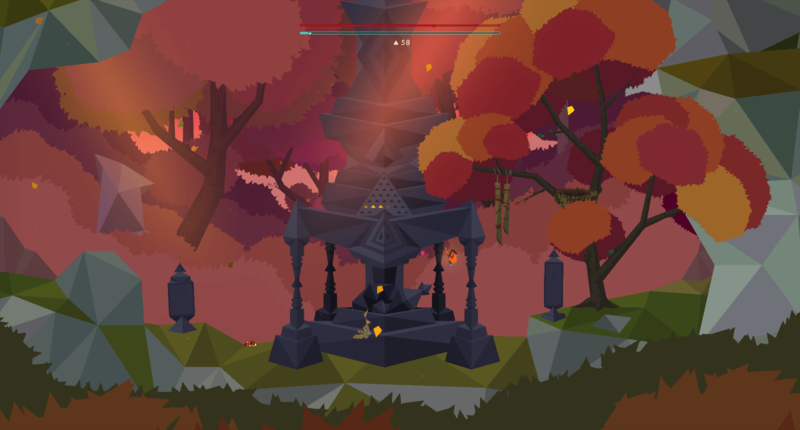 That sense of discovery is what Secrets of Rætikon is entirely about. There are cryptic runes to uncover and hidden passageways ripe for exploration. There is an overarching goal but I mostly found Secrets of Rætikon to be about gliding around the trees, looking for new things to poke at. When I discovered new areas I would generally spend a few minutes simply looking at things before even attempting any puzzles within. The art direction exudes atmosphere. Everything is made up of triangles, arranged in such a way to be evocative of the emotion surrounding an area. At times this can be tranquility and at other times it can be anxiety. Each area has its own story to tell, subtle as it may be, and the world is often better at imparting that story than the tablets strewn about the world. The assemblage of triangles is also very pleasing to look at. Once, I was chasing another bird around the sky. We both caught an upstream that led us narrowly between low branches and into the atmosphere. At the hight of our ascension the sun crested the mountain range and shone against our wings as we dove straight towards the ground. We both raced towards the earth, banking at the last second to go our separate ways. This small moment was not the highlight of the game but the sun-baked visage left such an impression on me that I thought it worth sharing. Part of the reason that moment stuck with me was the ease at which those aerial maneuvers were executed. The game, with a controller, plays very smoothly. You can easily ride a wind stream between branches and into a lake without losing momentum. The feeling of freedom in the skies is only hampered by, and only occasionally by, the camera. It does a good job of keeping on your character but sometimes does not zoom out far enough to give you a good read of what is in front of you. usually this just results in a little lost momentum but it occasionally left me smashing my beak into rocks. The majority of the time though you can duck and weave or soar like a pro man-bird-thing with little effot. Not everything in Secrets of Rætikon is full of wonder. The reason I was chasing that bird is because he stole an item of mine. This is par for the course in Secrets of Rætikon; animals are, for lack of a better word, jerks. Animals that are not actively hostile towards you, tend to want to steal things from you. It is not necessarily hard to take them back but if you are not exact in your escape, you could find your items stolen once again. Playing keep away can be fun at times, but other times I found it to be more frustrating than seems worth it. 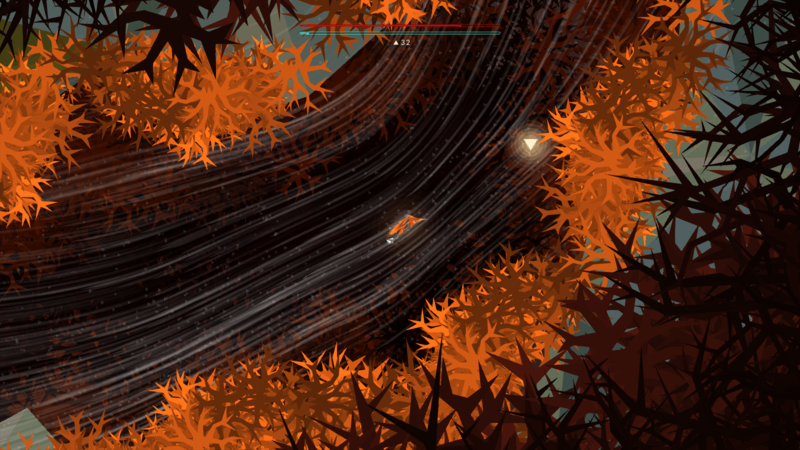 Jerk birds aside, Secrets of Rætikon is a pleasant experience. It is not heavy on story and there may be no tangible character development. But neither of those things are what Secrets of Rætikon is about. This game is all about exploring a world and having a good time discovering that world’s secrets. It is a low stress, low impact, visually interesting experience that makes up for its shortcoming by being relaxing and fun. A wonderful environment to explore. Animals tend to place a damper on how chill you are at any given time.